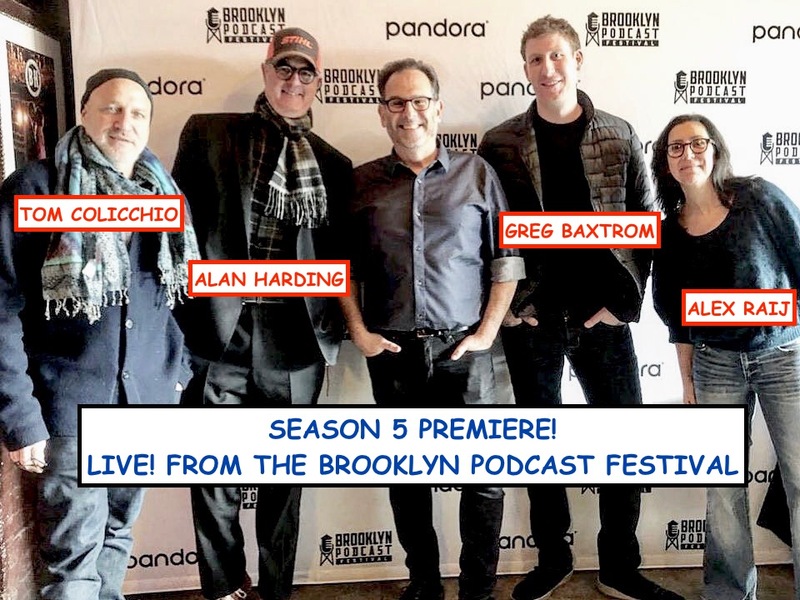 Season 5 of Andrew Talks to Chefs kicks off with our action-packed, first-ever LIVE production from the Brooklyn Podcast Festival! Tom Colicchio joins Andrew on stage for a one-on-one conversation covering everything from his culinary point of view to the origins of Craft restaurants and Top Chef to his social advocacy and political outspokenness to why he doesn’t dig sous vide. Then chefs Greg Baxtrom (Olmsted), Alan Harding (Gowanus Yacht Club, et al), and Alex Raij (La Vara, Saint Julivert) participate in a Brooklyn–Then & Now rap session. Plus, Caitlin meets the audience for a trivia contest, the Brooklyn-based band FaTHERS performs our theme music in person, and Georgia chef and former Top Chef judge Hugh Acheson joins Andrew in studio to introduce the show. Let’s get this 2019 party started! Here’s a thought: If you like what you hear, please tell your chef-fascinated friends, subscribe to Andrew Talks to Chefs (it’s free) on iTunes or Stitcher, follow us on your favorite social media platforms @ChefPodcast, and/or rate or review us on Apple’s podcast store. Thanks for listening! Andrew Talks to Chefs is powered by Simplecast. Episode 70 | Eric Ripert, Dominique Crenn, Emeril Lagasse, Amanda Cohen, Andrew Zimmern & Nancy Silverton--from the Cayman Cookout 2019!